Slamming the Congress for targeting Prime Minister Narendra Modi on the Pulwama attack, the BJP Thursday dubbed its allegations "shameful" and said they have exposed its "true colours" after it kept a "facade" of standing with security forces and the government following the terror strike. At a party event in Andhra Pradesh, BJP president Amit Shah said it was condemnable that the Congress has "politicised" the Pulwama attack, in which 40 CRPF personnel were killed on February 14, and asserted that people have full trust in Modi's commitment of ending terrorism. Citing media reports, the Congress claimed that Modi continued shooting for a film in the Corbett National Park for his "propaganda and publicity" and stayed put in the area till the February 14 evening despite the Pulwama attack taking place in the afternoon that day. Congress' chief spokesperson Randeep Surjewala also claimed that the prime minister continued to "have tea, samosas, at seven o'clock in a PWD guest house" that evening. Union minister and BJP leader Ravi Shankar Prasad rejected the Congress' charge as "shameful" and said Modi was there as part of an official programme related to tiger conservation. "Was the Congress aware of the Pulwama attack? We were not aware," the BJP leader said in a jibe at the opposition party. The Congress attack on the Modi government would have pleased Pakistan, he said, adding that styles of what Pakistan prime minister Imran Khan and the opposition party have said may be different but their contents bore striking resemblance. Shah said the Congress may level as many allegations as it wants but the "popular" prime minister's commitment to national security cannot be questioned, as he has given it top priority and adopted a policy of "zero tolerance" against terrorism. Modi has given security forces a free hand to give a befitting reply to this act of terrorism at a time and place of their choosing, he told a meeting of BJP workers. Hitting back at the opposition party, the BJP chief said, "With what face is the Congress raising questions against the prime minister? It called the Army chief names, it raised doubts over the surgical strikes, its leader Navjot Singh Sidhu embraced the Pakistan army chief and its previous president cried when terrorists were killed." Kashmir remained an unresolved issue only because former prime minister Jawaharlal Nehru tackled it in the wrong way, leading to Pakistan indulging in terrorist acts, Shah said. "Kashmir remained a problem only because of Jawaharlal Nehru. Sardar Patel tackled Hyderabad and it is now respectfully part of India but Jawaharlal Nehru tackled Kashmir and it continues to be a problem," he said. Speaking to reporters, Prasad accused the Congress of seeking to weaken the morale of security forces at a time when it is high with the entire country rallying around them. The whole world is standing firmly with India, he said. "After maintaining a facade of standing with the government and security forces, the Congress has shown its true colours," he said. 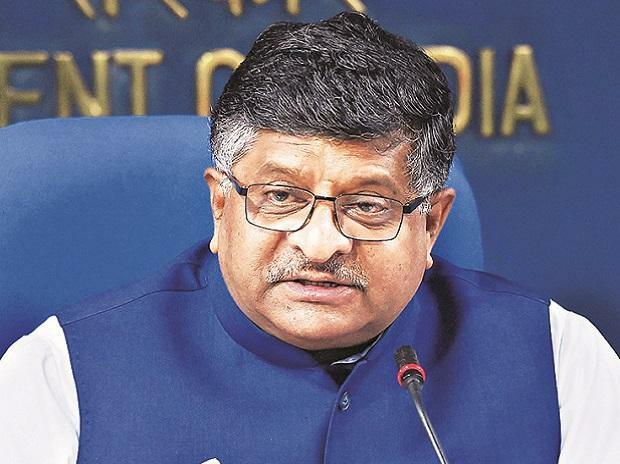 Reacting to the Congress attack on Modi for going ahead with his scheduled programmes after the Pulwama attack, Prasad said the BJP had cancelled all political programmes, including of the prime minister, Modi only went ahead with development exercises. The entire country has been in a mourning but it will carry on with its work as a message cannot go out that the nation has been stalled due to terrorists, he said. "The country will not bow to terrorists," he said, asking the Congress not to try to weaken the country's resolve. The Union minister claimed that terrorism in Kashmir has been dealt a severe blow during the Modi government's rule, saying that 728 terrorists were killed during 2015-18 compared to the corresponding figure of 349 during 2011-14. Asked about the sharp rise in the casualties of security forces as well, he said it should be seen that terrorism has been hit hard. To a question about demand of scrapping Article 370, which gives Jammu and Kashmir exclusive constitutional rights and has been opposed by the BJP since the party's inception, he said it will be considered at an appropriate time. Asked about the visit of Modi, who was then the Gujarat chief minister, to Mumbai following the terror attack there in 2008, Prasad claimed that he went there to meet the families of victims and that the BJP, which was then in opposition, had not politicised it.